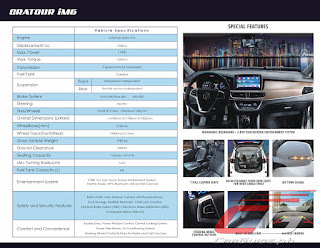 Foton Philippines is adding two new additions to its Gratour line with the market preview of the Gratour TM and Gratour iM6. The Gratour TM is Foton’s first-ever cabover truck in their Gratour line. 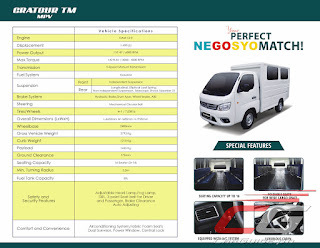 Made to satisfy the requirements of the small people carrier, the Gratour TM offers a 16-seater capacity. The side-facing seats can also be folded for a wider cargo space, perfect to maximize its 1,455-kilogram payload. 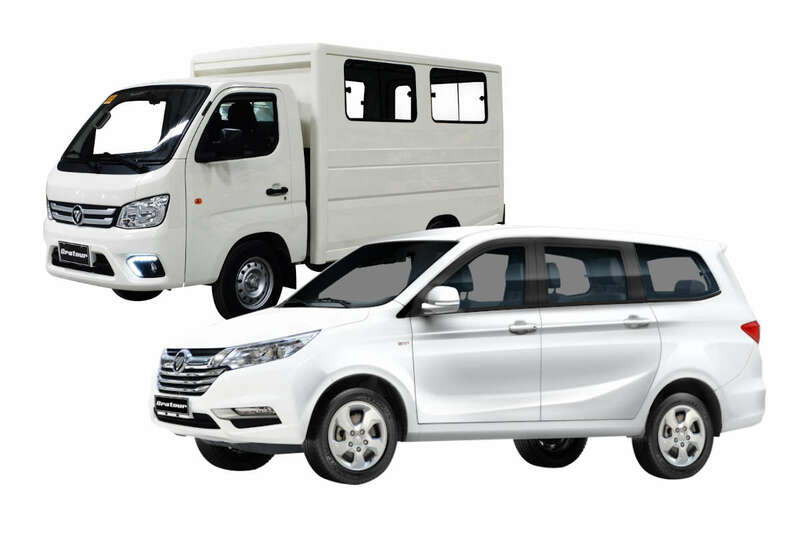 Powered by Foton’s DAM 15 R engine, the Gratour TM makes 110 horsepower and 142 Nm of torque from its 1.5-liter gasoline engine. It also has a compact 5.5-meter turning radius. The Gratour TM also comes with a surprisingly generous list of standard features including air conditioning and even anti-lock brakes. 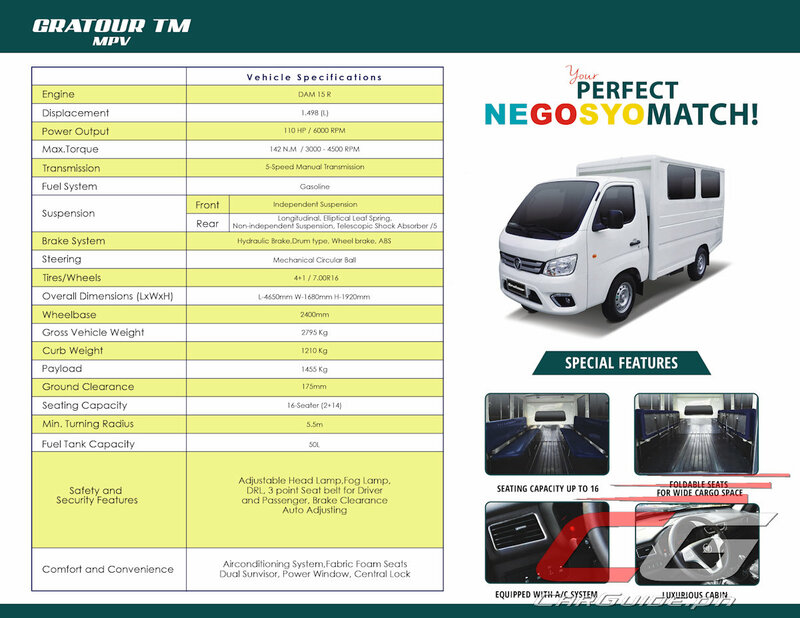 The Foton Gratour TM is now available with a price of P 663,000. Meanwhile, the Gratour iM6 is looking like the flagship of the Gratour family. Measuring in at 4.7-meters in length, 1.78-meters in width, and 1.820-meters in height, it easily fits in the mid-sized MPV segment. 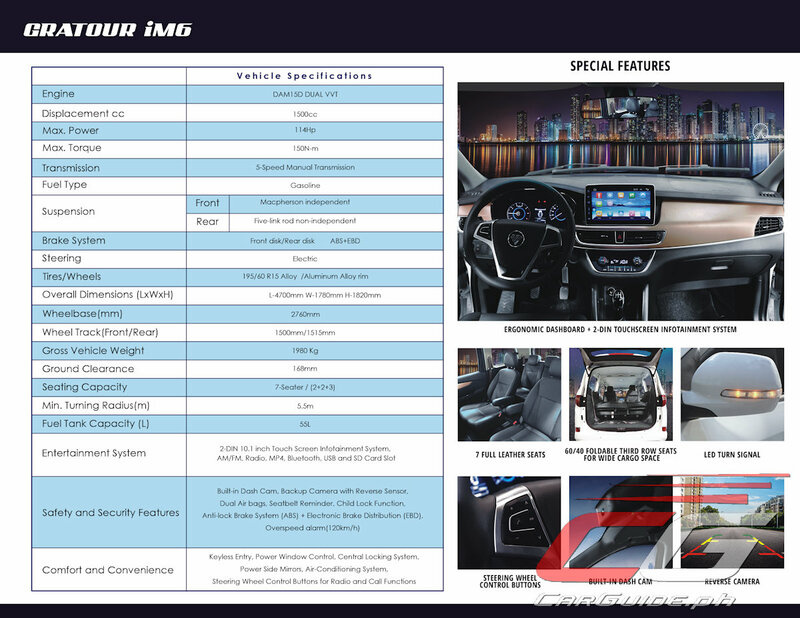 Featuring seating for 7 individuals, the Gratour iM6 comes with features such as leather seating, 2-DIN touchscreen-equipped infotainment system, built-in dashcam, back-up camera with sensors, dual SRS airbags, ABS with EBD, and an overspeed alarm. The Gratour iM6 is powered by a DAM15 Dual VVT engine making 114 horsepower and 150 Nm of torque from its 1.5-liter displacement. It also has electric power steering, and front and rear disc brakes. Foton Philippines says that the Gratour iM6 will hit the market in January 2019, designed to slot above the current Gratour MiniVan series. Sir.. saan nyo po na download brochure?